Only an estimated two percent of the human genome encodes for functional proteins that carry out normal biological processes. The remaining approximately 98 percent–the "junk DNA"–has for many years been considered a useless artifact. Some junk DNA has been shown to be transcribed into RNA molecules that support cellular functions, including transfer RNAs (tRNAS) and microRNAs (miRNAs), while the remaining noncoding RNA has continued to be considered nonfunctional "junk" RNA. 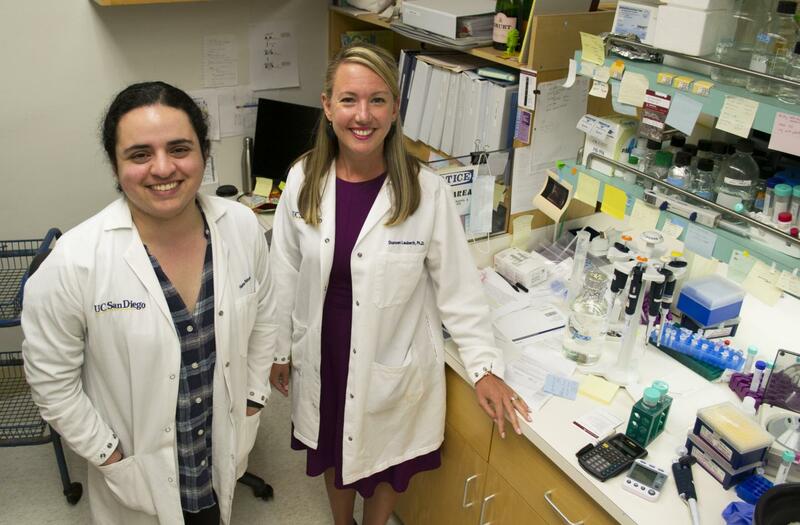 Previous work by researchers at the University of California San Diego in Assistant Professor Shannon Lauberth's lab uncovered several thousand enhancer RNAs (eRNAs) that are robustly produced in colon cancer cells in response to chronic immune signaling. eRNAs are a recently identified class of noncoding RNAs and their identification has begged the interesting question of whether they are functional in the cell. Now, members of the Lauberth team have revealed that eRNAs play a significant role in cancer dissemination. "Our findings reveal that eRNAs are key regulators of cancer by acting to reinforce BRD4 binding and keep it anchored on DNA, which keeps the tumor-promoting genes turned on at high levels," said Lauberth. "Interestingly, when we deplete several of these eRNAs, we can significantly reduce the expression of the tumor-promoting genes that the eRNAs and BRD4 are co-regulating." "Taken together, our findings are consistent with the emerging notion that eRNAs are functional molecules, rather than merely reflections of enhancer activation or simply transcriptional noise… So this is going to transform the way that we think about 'junk RNA' and the regulation of gene expression in the context of the human cell." On Aug. 1 the Lauberth lab was awarded a National Institute of General Medical Sciences (NIGMS) Maximizing Investigator's Research Awards for Early Stage Investigators (MIRA) to fund eRNA research for the next five years. MIRA grants aim to bring innovation and risk-taking back to basic medical research. Coauthors of the research include Jihoon Lee, Zhengxi Sun and Hanbin Lu of UC San Diego's Section of Molecular Biology, Division of Biological Sciences; and Kristen Ramsey and Elizabeth Komives of UC San Diego's Department of Chemistry and Biochemistry, Division of Physical Sciences. This research was supported by the UC San Diego Cellular and Molecular Genetics Training Program through an institutional grant from the National Institute of General Medicine (T32 GM007240); a research scholar award from the Sidney Kimmel Foundation for Cancer Research (857A6A), the American Cancer Society (ACS-IRG 70-002) and the University of California Cancer Research Coordinating Committee (CRN-17-420616).